At the Mayfair Lawn, we have perfected the art of hosting birthday parties for almost all age groups, especially children. Most importantly, we understand what children enjoy and we have a feel for what grown ups enjoy, especially when it comes to birthdays celebrations. 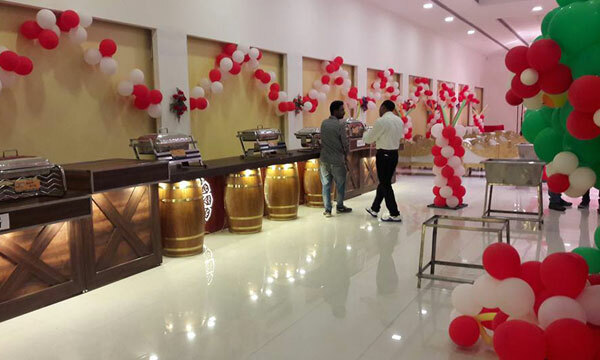 So, along with great food, theme-based ambience and gracious hospitality, we create the right decor with elaborate balloon decorations, live cartoon characters like Spiderman, Pokemon, Barbie, Mickey Mouse and Tom & Jerry, Magic Shows and Bouncies. We can also bake the best birthday cakes and arrange attractive cake and gift tables. A DJ and a live band can also be arranged to live up the celebrations if so desired. After all, you are born only once. And, each birthday, therefore, must turn out to be a memorable one. At the Mayfair Lawn, we can do just that.